The ATC, the language sector’s leading professional body and Aston Business School have partnered to fund a three year £90,000 PhD study looking into language capability as a means of driving sustainable competitive advantage for UK SME’s. Prospective students are being invited to respond to the study outline and submit a research proposal. It is expected that the study will commence in October this year. 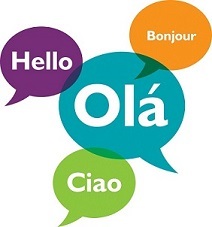 Proposals are being asked to address language capability in SMEs and/or global cultural sustainable competitive advantage that extends our current knowledge and understanding of these issues within a business context. Dr Geoff Parkes, Aston Business School comments: “Given the economic challenges faced in today’s competitive environment and recent events in the UK, including Brexit and our forthcoming exit from the Single Market, it is becoming more challenging for UK’s small and medium sized enterprises to compete. Isabella Moore CBE, a leading member of the ATC and a former President of the British Chambers of Commerce continues: “The UK government has repeatedly emphasised that improving exports is one of the best ways to rebalance the UK economy. Despite this, the UK has been struggling to improve its trade deficit. “Large organisations with the advantage of size and resources, and increased competition from countries outside the UK have made it more difficult for SMEs to survive in the current competitive global market. Consequently, it is important to help SMEs to improve their export performance. In addition, the project aims to develop a reliable and valid scale that can be used across SMEs to help assess the language skills that are required against current competencies within an organisation, and the attitudes and willingness to implement them. Candidate selection will be based on the evaluation of a completed online application form, a detailed Research Proposal of up to 5,000 words and two academic reference letters.